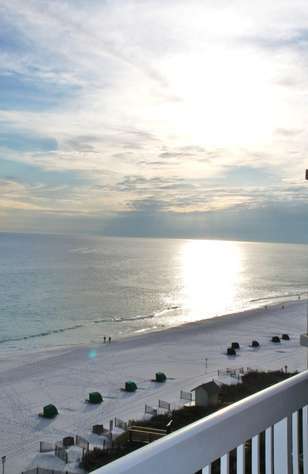 This spectacular Gulf-front property is located on the eighth floor of upscale Silver Beach Towers overlooking Destin’s white sand beaches and emerald waters. Other than the weather not cooperating, Our stay was perfect! Family of 5 and very condo, plenty of space and great location. Beach service is awesome and location to everything was as good as it gets. The view is amazing. In looking for a new summer beach destination to vacation with our family (2 adults and 3 teens), we were very hesitant in booking anything online. Other than opinions from others and pictures, we were unfamiliar with the Destin area. We were very thorough in our vacation home search since we live about 12 1/2 hours away and yet still uncertain if this was going to satisfy our family. Without writing a novel, I'm here to tell you first hand that we were highly pleased with our entire vacation in Destin! This rental exceeded all of our expectations in every way and left us with no doubt about where we were staying! It was very comfortable, clean, well kept and stocked with everything that we needed. Beach towels, beach chairs (plus the two beach chairs that are set up for you on the beach that's included in your rental), extra blankets... You name it. The entire property grounds and two pools were kept very clean. The entire VRBO process, especially ITZ property management company was so easy, organized, and very friendly. 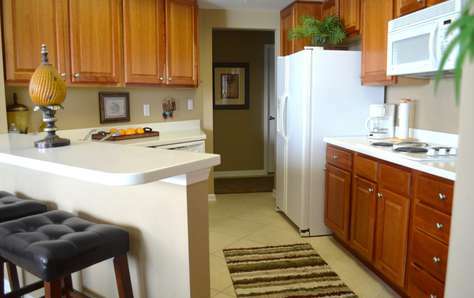 We highly recommend this rental and would definitely have no reservations in renting again! We have now found a new favorite vacation destination and rental and hopefully you will too!!! This will not disappoint! First let me say what a pleasure it was to work with the property management company ITZ- friendly, helpful and a lovely "have a safe trip" home text message as we departed our vacation. I have never had such a kind, personable approach. The property- amazing. We have stayed in several rentals through the years, some condos, some homes; but this was one of the only times I didn't need to request carpet to be cleaned or complain that the floor was grimy with left-over sand or dust that had collected through the years on higher pieces of furniture- what a difference! The carpet in the bedroom were white, not a spot or soiled area- I was thrilled! The tile floors had been obviously cleaned and swept as no residue of sand from previous renters existed. Well appointed kitchen - loved that there were actual cutting knives that were actually sharp for cutting fruit, veggies, etc. The view was lovely- the property itself, just wonderful. The Resort staff- you would often see them moving through the property, cleaning, repairing and just really helpful; from "hi", "how's your day" to picking up trash by the pool and mopping endlessly the common area for all of us returning from the beach. The beach service (chairs, umbrellas, etc). What a great team. Always helpful, cheerful and available. Loved the daily check in feature of where your chairs were to be located for the day. If you needed additional chairs or umbrellas, so accessible and just easy! The way vacation should be- easy...one of our best beach vacations, and it was due to the people that work hard to do their jobs so well. Enjoy your time at this great resort and condo! -Check out The Other End Restaurant & Beer Garden- fantastic burger and local beers, a fun low key place and off the "beaten path"
Wow! I'm not easily impressed when someone tells me a place is beautiful. My thoughts are "yeah, right!" But after my stay at this gorgeous and huge condo I now am the person saying how beautiful the place is. The condo itself was so roomy. The bedrooms were set up in a way that it was so easy to sleep in. The beds were very comfortable, the blinds made the room so dark, and I never heard the first person up making coffee in the morning. The kitchen had everything we needed. We prepared our breakfast and lunch at "home" and went out for dinner at the Harbor nightly. I felt so safe here. I love the fact that you need a fob to get into the parking garage and the same one will allow you to get into the building. 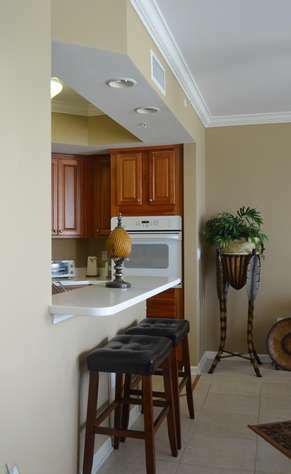 The grounds were exceptionally clean and the condo itself was immaculate! ( trust me. I looked!). We arrived late at night and were so pleased to find some cold drinks in the fridge and some snacks. Thank you for that. All these factors along with the easy booking experience and the personal service from ITZ vacations have us already planning our next trip to Silver Beach Towers. Who could ask for anything more?? Wonderful home with amazing ocean views! It fit our family perfect with everything we could have wanted. The unit was clean, spacious, and well maintained. The beach service was a fabulous amenity to this unit. All questions or concerns were quickly and thoroughly handled throughout the booking process. We would highly recommend this unit and plan to return. Will most definitely rent this unit again! Very clean and well stocked. Itz Properties had everything together & well organized for our arrival & it made it so easy. Would recommend this unit to anyone! Excellent vacation. My wife, two kids and father had a great time staying in this unit last week. There was tons of space and the condo had everything plus more than what we needed during the week. We enjoyed sitting on the balcony taking in the beautiful view of the beach and pool each evening. The kids loved playing in the pool. I highly recommend this unit for it's great space and cleanliness, beautiful beach and pool and excellent location in Destin. I grew up vacationing in the Destin area. My parents, husband, myself and three children decided to revisit that tradition. We were thrilled with the accommodations of the unit and overall condo building. The condo is nicely decorated with abundant bedding and bath towels. The kitchen is well stocked. We never had an issue getting chairs by the ocean. Our family will definitely be coming back! I don't know where to begin to review this wonderful Condo! It was large and beautiful, better than the pictures. There were 4 adults and 2 young grandchildren in our party and we never felt cramped. The bedrooms were great and the linens and towels appeared to be new. The kitchen was stocked with all necessary items. The dishes were lovely and also the pots and pans and anything else you might need was there. We were so excited that we chose such a lovely place to stay. 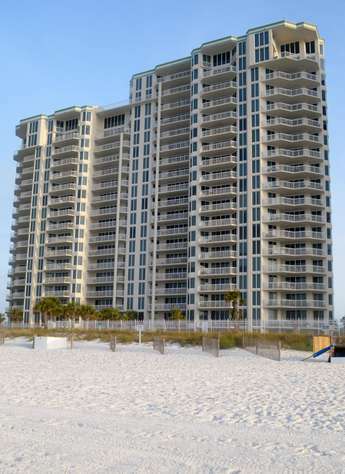 Silver Beach Towers is probably one of the nicest properties on the beach. We appreciated having key fobs to enter the parking deck and building. The building itself is immaculate, we saw people cleaning every day we were there. ITZ Properties went out of their way to make us feel at home with a beautiful Welcome Card and Welcome Basket filled with goodies. There was also coffee, creamers, sugar, left for us in the kitchen and in the bathrooms there were small shampoos, conditioners, etc! We have never seen this at another Condo. Ana with ITZ was great to work with also. I can't say enough about the Destin beaches! The blue green water and white sands were just mesmerizing. It was our first stay in Destin and we couldn't believe how gorgeous it was! The beach chairs allotted to our Condo and an umbrella was just a real plus when we were out with the children. As for the Pool area it was extremely large and well maintained and cleaned every day also. This condo is right in the middle of everything you could want. Walmart was practically across the street and there were plenty of restaurants close by. We never went further than the Outlets which were 10 minutes away. Everything we wanted was right on 98 and so convenient! We will definitely come back to Destin and we will book this Condo again. We had a wonderful time and that was partially due to our staying in such a beautiful and well maintained place. You can't find anything better than that! My wife, two kids (1 and 3), mother-in-law, brother-in-law, his girlfriend and I stayed in this condo from Sept. 18th-25th of 2014. There was plenty of room for all seven of us. We did take two cars and even though there is only covered parking for one there was parking available around the lobby entrance. It was amazing from top to bottom. It is extremely clean and well maintained. We found it to be stocked will all kitchen and bath needs. 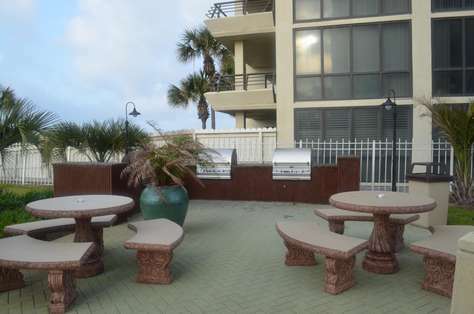 The balcony is large, well furnished and has a beautiful view of the ocean as well as the pools. The beds and linens were all comfortable. We even left some items and didn't even know. Ana, property manager, notified us of it and offered to ship the items to us. 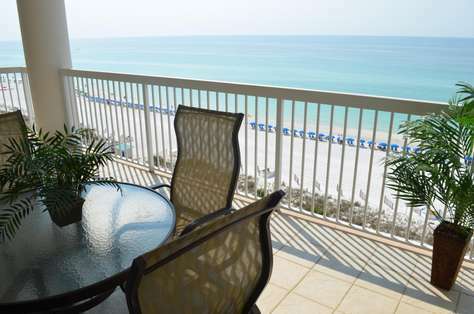 I will definitely be staying at this condo when I visit Destin again. This being our first trip to Destin, we didn’t know what we were in for, but this unit didn’t disappoint. It was everything we wanted, and more. It was spacious, beautifully decorated, and equipped with everything you could possibly need. We were a family of 5, but because of the spaciousness, we never felt crowded. The balcony was large, lots of chairs and tables so we could all enjoy our coffee and the amazing view. The public spaces were very clean and it was obvious the building management took pride in taking care of everything; we saw the pool area being cleaned and well maintained every morning, along with all the public areas. The pools were very large, so it never felt crowded and there was plenty of seating for everyone. Everything was very secure, you need a key fob to get in the building, in the garage, and the pool, for some this may be a headache, but for our family, we were thankful for the security. For those of us that enjoy sightseeing, sometimes just getting on the main road can be a chore, if the entry to the building is in a bad spot, but this building is located at a red-light, so there is no dread of turning against traffic and it makes getting around so much easier. I would highly recommend this unit to anybody. Sheila, with ITZ was great to work with and answered all my questions, (and there were a lot), in a timely manner. Thank you so much for making our first family vacation and our first trip to Destin so wonderful! You will not be dissappointed with this condo. It is in excellent condition. Just as described. If you like what you see in the photos, you will absolutely love it in person. The pictures do not do it justice. This is a very secure and private resort. Private, gated, underground parking. You need the fob to enter the building. You need th fob to get into the pool complex. You need the fob to exit the pool complex (to either the beach or back into the building). Beside the condo being so wonderful with everything you need (including beach towels, extra beach chairs, boogie boards, frisbees, etc., etc. ), the pool and hottub are wonderful and the beach is unbelievable. It is Emerald green and clear. There are kayak rentals just a few steps down the beach which are really fun as the surf is not very rough (most of the time). We walked down to the Back Porch one day. The food is good, but nothing to write home about. But the atmosphere is great there. Good place to go for happy hour. If you go upstairs you get a great view of the ocean and the sunset. Also, there are several shops (beer/liquor, Pizza, Sandwidch, beachwear/toys) just walking distance from the condo. Grocery stores (Winn-Dixie and Walmart) are a very short drive away (a mile or so). There is also a great donut shop (The Donut Hole), and fresh fish markets a short drive away as well All around you will love it. We stayed in 804W for a week in July and were very pleased at how spacious and beautifully decorated the condo was. There were beach towels for our use along with beach toys, including boogie boards. Loved the building layout, they are 6 units per floor but with a solid wall down the middle you only share the elevators with three (3) units per floor. I think the longest we waited for an elevator was 30 seconds. We saw only one (1) of our neighbors that week; the condo was very quiet and private. The beach was beautiful, the whitest and cleanest sand by far, even though there were three (3) rows deep of beach chairs we still enjoyed every minute. If you want beach chairs on the front row by the water you need to call in advance of your arrival to reserve, get the number from the rental property, we were unaware of this and stayed on the second row the whole week. The pools were cool and refreshing, we always found a couple of empty chairs for such a large condo complex. We would definitely choose this condo again in the future. Thanks for the wonderful memories. We chose this unit to accomodate a 5 night, adults only getaway, and could not be more pleased with our decision. The unit, with its 3 bedrooms and 3 bathrooms, proved extremely accomodating and large enough that none of us felt like we were ever on top of each other. The weather was so beautiful during our stay that we spent most of our time in the condo out on the wonderful balcony with great views of the Gulf and the occasional dolphin sighting. The unit, itself, is decorated wonderfully, with a huge master suite, guest room with a queen size bed and the third bedroom with the two singles. Having a washer & dryier in the condo is also a huge perk. For the money, I can't imagine why anyone would choose to stay in a hotel. 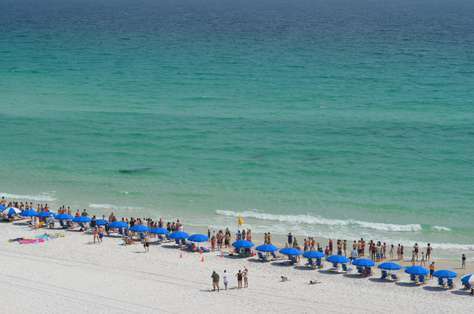 The beach at the Silver Beach Towers is absolutely beautiful and the reservation system for the beach chairs and umbrellas could not be any easier. The property management team and Csilla could not be any easier to work with and any more accomodating. We arrived in town much earlier than expected on our arrival date, and a quick phone call is all it took to get access to the unit a few hours earlier than we had expected. 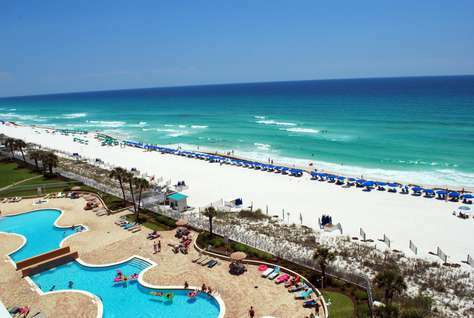 We plan another trip to Destin and this unit in Silver Beach Towers in the future, although our children will most likely not allow us to return without them in tow the next time.